It has been approximately 5-6 days since my last post on the Jason Neo incident, where his captioned photograph of young Singaporean Muslim children (Jason Neo's caption read: Bus filled with young terrorist trainees?) was brought to public light. A bigger furor has since arisen, both amongst proponents of hate speech legislation and proponents of freedom of expression. This recent development has interesting implications; not only for spotlighting race relations in Singapore, but also for how conceptions of freedom of expression will likely evolve in Singapore, as a result of this online fracas. On Nov 18, 2011, it was reported that a full-time National Service man (i.e. a Singaporean male serving his mandatory army service), Christian Eliab Ratnam, was under investigation by the police for making allegedly strong anti-Islamic statements on his Facebook. It was reported that an online reader lodged a complaint against Ratnam for violating the Sedition Act. A screen-shot of Ratnam's Facebook page has been circulating on the Internet. I re-reproduce it below so that readers can see for themselves what actually prompted the reader to lodge a complaint against Ratnam. On Nov. 21, it was reported that a blogger, Donaldson Tan (picture, left), was being investigated for re-posting an image where a pig was superimposed on the Kaabah in Mecca. Someone with access to Donaldson's Facebook page, took a screen shot and reported him to the police for violating the Sedition Act. Why was the reader upset enough to report him to the police? It could be for two reasons (I am speculating here): (1) insulting Muslims by degrading the Kaabah, a holy site in Islam (2) Tan's subsequent comments when urged to delete the image (see the screen shot image below). Why is the Kaabah sacred to Muslims? Well, according to the Quran, the Kaabah was built by Prophet Abraham and his son Ismail. During the pre-Islamic times, the polytheistic Arabs worshiped idols that were housed in the Kaabah. When Prophet Muhammad re-entered Mecca (he forced to leave Mecca in previous years due to threats on his life), one of the first things he did was destroy the idols in the Kaabah as a re-affirmation of monotheistic belief. Today, all Muslims around the world face the Kaabah during their five daily prayers. The pig is considered a filthy animal by Muslims, and the Quran forbids Muslims from eating its flesh (as an aside, Jews also do not eat pork as according to their religious teachings). So basically, in a span of a week, we've had three police reports made against individuals for alleged racist (or hate speech). 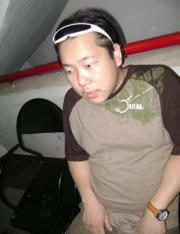 In the first instance, the offender, Jason Neo, was found to be a YPAP member. The ruling party was quick to act. Members of the government were pictured visiting and touring the Huda Kindergarten (whose students had been likened to future terrorists by Jason Neo). Neo resigned from the party and issued a written apology to the owner of the kindergarten. 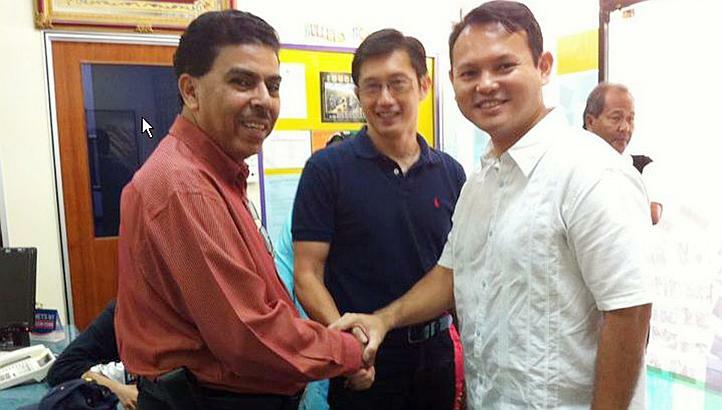 The PAP's quick move of sending its Chairman of the Young PAP, Teo Ser Luck, who is also the Minister of State, Ministry of Trade and Industry, and its vice-chairman, Zaqy Mohamad, who is also a Member of Parliament, undoubtedly, sends a signal to Singapore Muslims that their concerns will not be taken lightly. Contrast it with the response from pro-democracy opposition groups, such as the National Solidarity Party, which advocated a different form of response to the Jason Neo incident: "The correct response therefore is not to censor individuals but to censure them when they speak irresponsibly". Presumably, according to NSP, societal censuring (read: reprimanding) was enough, and censoring (read: prohibiting) was unwarranted. But given the fact that two additional incidents were reported to the police, after it appeared to many that Jason Neo was "getting off" with a mere reprimand, indicates that a segment of Singaporean society DO in fact want to see the law on Sedition Act upheld, and to ensure that further examples of hate speech will be strongly prohibited from being expressed (i.e. censored and expressed only at risk of facing deterrent punishment). Under the Sedition Act(CHAPTER 290), 3 (1)(e) having a seditious tendency is "to promote feelings of ill-will and hostility between different races or classes of the population of Singapore. The authorities now have to determine if the criteria of "seditious tendency" under Sedition Act(CHAPTER 290), 3 (1)(e), may have been met, in all of the three cases. Let's take a closer look at each of these cases. Jason Neo case: He labelled Muslim children (through a captioned photograph) as having the potential to grow up and become future terrorists by virtue of being educated in a Muslim kindergarten. This perception, if unchecked and left in the public domain, could perhaps lead to discrimination or prejudicial acts against individuals who are Muslims by individuals who indeed believe that Muslims are (or have the potential to be) terrorists. This kind of speech could breed distrust amongst Singaporeans, and could potentially be an example of dangerous hate speech. 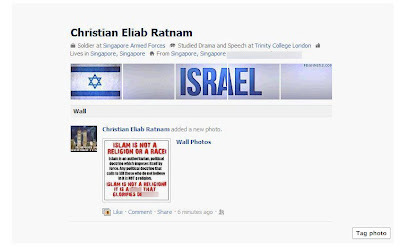 Christian Eliab Ratnam case: He posts a picture that states that "Islam is not a religion, or a race. Islam is an authoritarian, political doctrine which imposes itself by force. Any political doctrine that calls to kill those who do not believe in it is NOT a religion. Islam is not a religion It is __(censored - I do not know what it said originally) that glorifies de__(censored - I believe it originally reads "death"). The image Ratnam posted appears to be representative of Ratnam's personal belief about validity of Islam as a religion (never mind that there are more than 1 billion Muslims worldwide, and is the world's fastest growing religion, something in Islam must be worthwhile to retain that huge number of followers). The question is, can Ratnam's personal belief about Islam hurt individual Muslims now or in the future through discriminatory or prejudicial acts? It could be argued in the Singaporean context, as in the Jason Neo case, that such beliefs, if propagated in the public domain, could spread and lead to hostilities between Muslims (who believe in the validity of Islam) and others (perhaps a group of people sharing Ratnam's beliefs). That could be a real possibility in multicultural Singapore, a country that has previously experienced race riots, albeit over 4 decades ago. But then does he not have a right to his personal belief on the invalidity of Islam as a religion? He is NOT targeting individuals, specifically Muslims, rather he is targeting the religion, Islam. How different is it from a vegetarian believing and stating in public that the slaughter of sheep during Eid-al-adha is murder? Would a vegetarian be allowed to state as such on a Singapore-based website aimed at propagating the view that animal slaughter is murder? Or would that vegetarian be deemed as having offended Singapore Muslims who permit animal slaughter? This could be an arguable point for freedom of expression proponents. Where does one draw the line between expression of an opinion, and expressing an opinion that others might find offensive? Is it dependent on the intent of the public propagation of that opinion? Could it be also dependent on there being justifications/evidence/scholarly treatment of the subject (from the person expressing the opinion)? Sedition Act(CHAPTER 290), 3 (3): For the purpose of proving the commission of any offence under this Act, the intention of the person charged at the time he did or attempted to do or made any preparation to do or conspired with any person to do any act or uttered any seditious words or printed, published, sold, offered for sale, distributed, reproduced or imported any publication or did any other thing shall be deemed to be irrelevant if in fact such act had, or would, if done, have had, or such words, publication or thing had a seditious tendency. 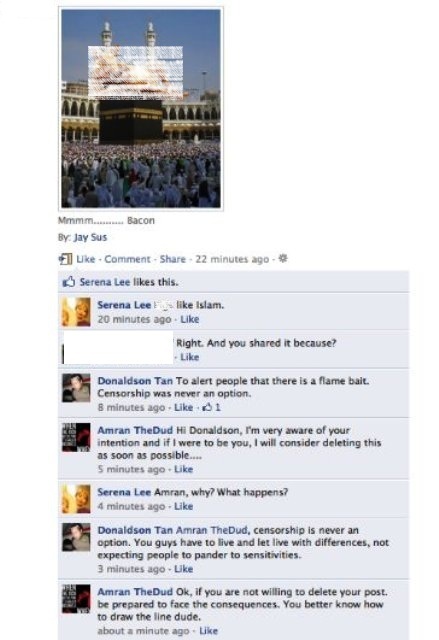 Donaldson Tan case:He re-posted an image that many Muslims would be sensitive to (degrading a sacred place, the Kaabah, in Islam) and then when asked why he did so, he stated that it was "to alert people that there is a flame bait. Censorship was never an option". When urged to delete the image Tan responded "Censorship is never an option. You guys have to live and let live with differences, and not expecting people to pander to sensitivities". In light of the previous two cases, it is probable that Tan was re-posting his image as a political statement on his conception of what freedom of expression should entail; case in point was his response to the individual Muslims who encountered his image and who were offended. It has been suggested that Donaldson had re-posted the image so as to highlight the potentially offensive nature of the image to the public. But his subsequent statements on censorship, and refusal to delete the image despite being requested to do so by the offended parties, could work against that line of defence. These three cases raises some very interesting questions on conceptions of freedom of expression in Singapore. Freedom of expression is always to an extent regulated in all societies, for example, through hate speech, solicitation to felony, slander or libel laws in Western societies. It is up to society to decide what speech is harmful enough to warrant deterrent punishment. Singapore has, through its legislation (Sedition Act, Penal Code, section 298A, Maintenance of Religious Harmony Act) defined what harmful speech is. But is this legislation relevant, or could the legislation itself be accused of promoting ill-will amongst the races and classes in Singapore? The practice of freedom of expression always comes with caveats. It is apparent that certain forms of speech are regulated even in the most liberal democracies (eg: Gayssot Act in France). Singapore's Sedition Act resembles, in essence, many of the hate speech laws in Europe. But the Sedition Act may be too broad to account for the differences in opinion based expression, expression of personal beliefs, and hate speech aimed at degrading and/or harming specific groups (as discussed above in the three recent examples). Moving forward, this is something that pro-democracy proponents in Singapore will have to think deeply about and address in a meaningful way. Freedom of expression, which includes a permissive acceptance of the propagation of degrading and/or hateful statements targeted at characteristics of groups of people (be it color of skin, ethnicity, religion, sexual orientation etc) breeds a culture of intolerance in the long run. The key, perhaps, is formulate a narrowly defined legislation that prohibits hate speech, and that does not have the potential for chilling freedom of expression through fear.